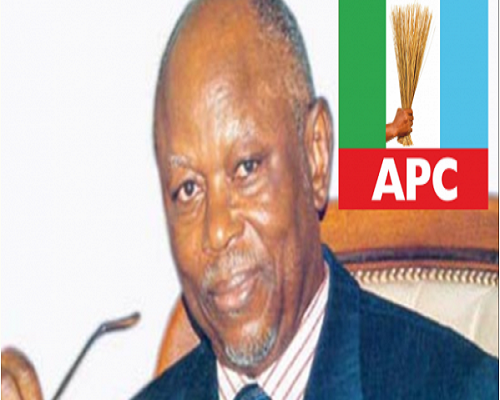 A former National Chairman of the All Progressives Congress, APC, John Odigie-Oyegun, has responded to reports making the rounds that he had dumped the party. Oyegun noted that though there were problems and challenges in the party, he cannot run away. He said he will stay and give what he has to patch the cracks. Reports emerged recently that the former Governor had left the ruling party. But speaking with Sun, the elder statesman said that having been an originator to the party’s process, it was going to be extremely difficult to see himself in another political party. Asked about the claim that he was no longer in APC, Oyegun said, “I had intended to totally ignore that flown kite. I have almost succeeded in doing that but this will be an opportunity to emphasise that in terms of the thinking, I was basically an originator because I knew that what we were doing while in opposition was wrong. “We in opposition truly want to present our nation with democratic choice. We need to build a party that can be comparable in levels, strength and acceptability to the Nigerian public not for them to keep saying that they don’t like them yet they don’t have choice. Having been an originator to that process, it will be extremely difficult to see myself elsewhere. “Yes, the party has issues and problems, but you don’t run away from the party because it is passing through a phase or difficulty. I cannot run away. I will rather give what I have to patch the cracks. “We will maintain the direction and goals we have set for ourselves otherwise the fluidity of the movement does not make sense and does not show commitment. “Yes, there are difficulties, but they are meant to be addressed, sorted out so that the party does not lose its soul and the message that brought it into being.